Day 61 was one of the longest days of the trip. Having had less than a full sleep, I left Ascot Place just after 7 am and drove 10 minutes to the Sunningdale Golf Club (Old Course rated 39, designed by Park 1901 and remodeled by Colt)(played September 1985). This is one of the few courses where my initial member contact did not respond and Plan B was activated. Club secretary Stewart Zuill arranged for an 8 am starting time. However, the starter appeared at 7:55 am and posted a sign on the message board “Old Course Closed – Competition.” The man then quickly disappeared, so I went into the pro shop to ask about this surprise development. I was told that the first tee was open and I should hit off immediately. Vale do Lobo was the first development built in the Southern region of Portugal, the Algarve, in 1962. At that time the Algarve was mainly inhabited by locals for farming and fishing. It was only after the establishment of Vale do Lobo that Faro International Airport was built allowing for substantial growth in the area. 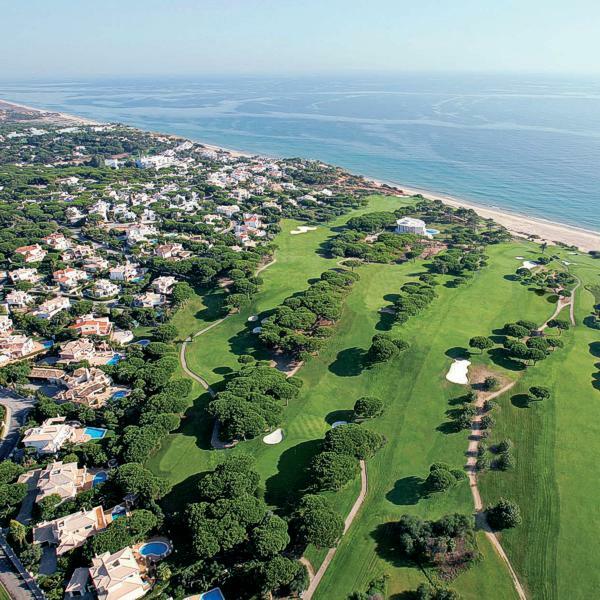 Vale do Lobo is home to two superb golf courses, The Royal and The Ocean. Based on original ideas by Sir Henry Cotton and updated by American golf architect Rocky Roquemore, the Vale do Lobo courses have twice held the Portuguese Open.